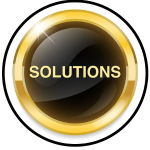 AOR Solutions will provide an experienced leader for your organization. The Executive Director will be the main point of contact to your board, your members, and the public. They will be responsible for making sure that your organization is running as efficiently as possible, meets all your reporting requirements, prepares and attends your board meetings, and allocates the resources of AOR Solutions to your organization. Your Executive Director will work with your board chair to prepare the agenda, make sure all required documents and materials are available, prepare minutes for distribution, and keep track of action items both during and after the meeting. We’ll make sure that items are followed up, and that reports are prepared in time for your next board meeting. Your Executive Director will have direct access to all of the resources that AOR Solutions has to offer. With in-house expertise in website design and development, digital marketing, social media management, coordination of traditional marketing, event planning and management, communications, as well as core functions around administrative, bookkeeping and member management requirements, AOR Solutions expands the breadth of expertise directly available to your organization.